First things first: Red cups are officially back at Starbucks. THE HOLIDAYS ARE COMING. Okay, back to business. You have probably heard of No Shave November, when boys confuse laziness for a nation-wide scruffy phenomenon. At first I just laughed and got ready for a month of mustaches. But then I was completely lost when I started hearing of girls participating, forgoing their razors and embracing the stubble for 30 days. 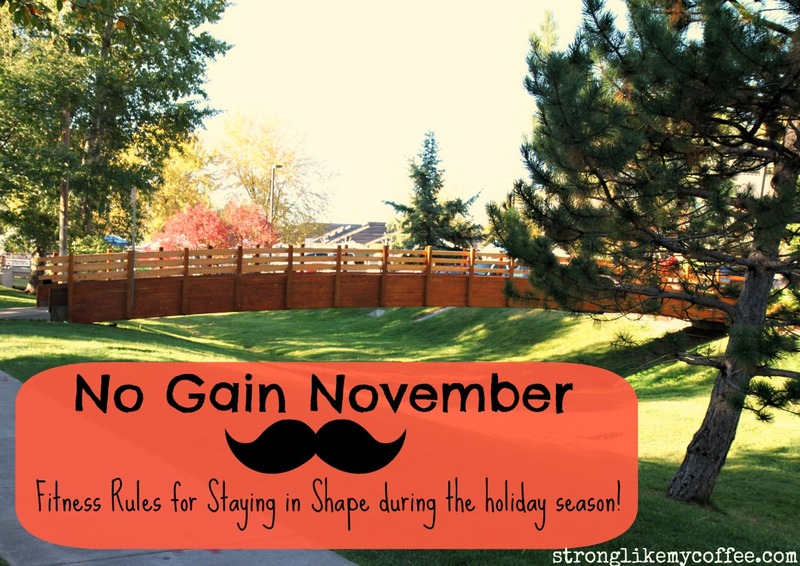 Leave the scruff for the boys and join me for No Gain November! Obviously these last two months of the year are notorious for a little holiday weight gain (probably why the vast majority of New Year’s Resolutions are to lose weight….). So get a jump start on staying in shape and make the decision to not gain weight this month. 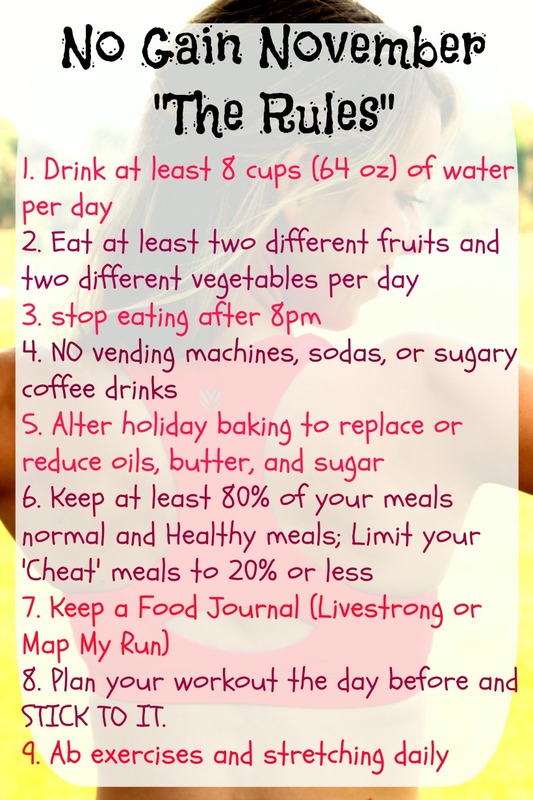 First, here are some rules to keep yourself accountable to reduce your likeliness to cheat! Obviously you can add your own rules that pertain specifically to you and your “weaknesses.” For me, I’m limiting my peanut butter consumption (it’s really more of an addiction.) I’m also avoiding granola cereal, primarily because I can’t stop at one serving. And lastly I am bypassing all pastry items, cupcakes and scones included. Trust me, it will be worth it when Thanksgiving rolls around and you don’t feel like you need to go on an immediate diet! A really cool tool I found while searching around the world wide web last night: Map My Run’s personal food and exercise journal. There are similar ones on a bunch of other websites, but I decided to use this one because it looks nice and organized and seemed to have all the nutritional information on the foods I eat! Most important thing about using a food journal: Be honest. I really think they help because before you take one too many bites ofa chocolate chip muffin, you remind yourself that you have to write this down afterwards and add in the calories/nutritional information. You just might rethink that fluffy bite of fat. On the flip side, you can track how many calories your body is burning each day and record all of your workout information. Posted on November 2, 2012, in College, Fitness, Healthy Habits, Uncategorized and tagged college, fitness, health, no gain november, no shave november, Weight loss, Wellness. Bookmark the permalink. 6 Comments. Awesome blog today you peanut butter fanatic!!! Girls not shaving for 30 days is just plain GROSS not to mention painful. I could not and would not participate in that silly phase. I will however join you in the food log journal – that’s a GREAT idea. I want to enjoy the holiday feasts w/out the guilt too, so no fluffy bites of fat for me!! 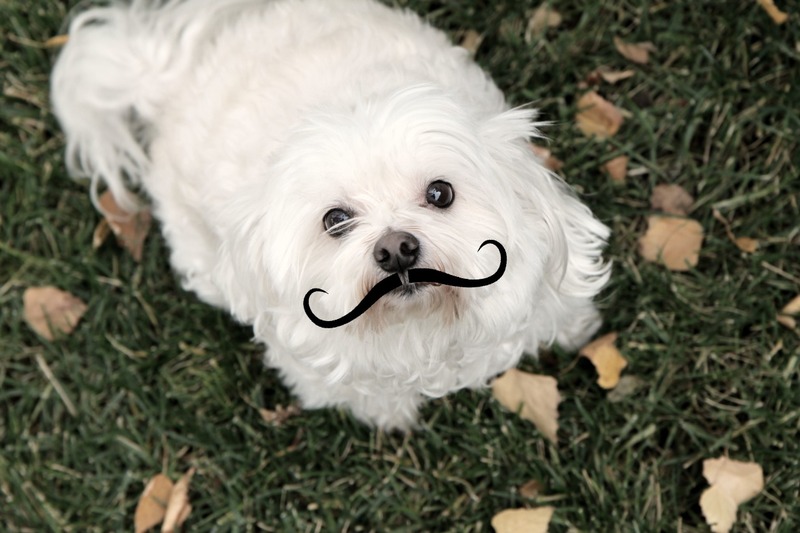 Missy looks adorable with her stache!! haha I love this idea! So gross girls were thinking of hopping on board with the noshavenovember! I couldn’t do it!